Are you looking for ways to spice up your dinner table? Surprise your family with unique, flavorful meals by cooking tried and tested comfort food using unconventional ingredients and flavor combinations. 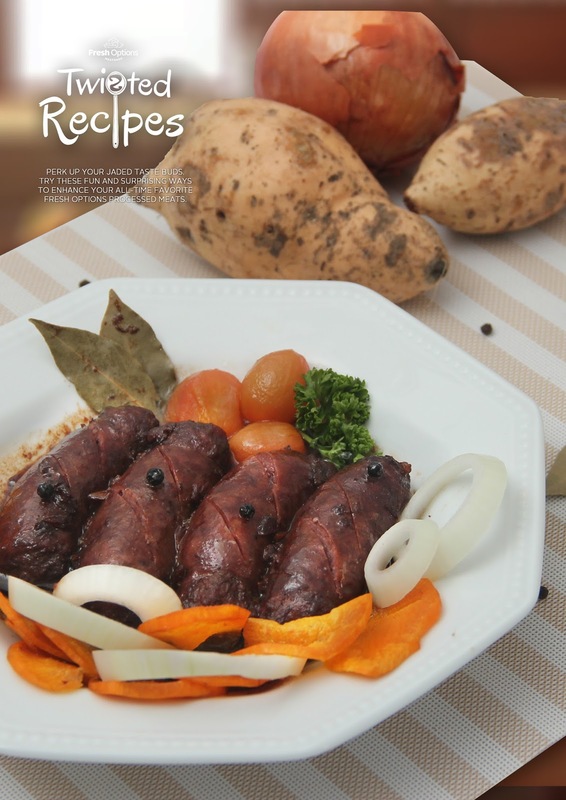 All you need is a little creativity, an adventurous palate, and fresh and tasty ingredients like Fresh Options meat products to turn ordinary meals into hearty dishes that your family will surely ask you to cook again and again. Fresh Options, the retail shop of quality meat and meat products manufacturer RDF, has a wide variety of value-added products that can be cooked as great stand-alone meals, or as the key ingredient to sumptuous dishes with a twist. Fresh Options also carry premium quality meat like dressed chicken, pork and beef, ready-to-heat meals on top of its value-added products. Its stores located in key cities in Northern Luzon and Metro Manila which is convenient for busy moms and professionals. 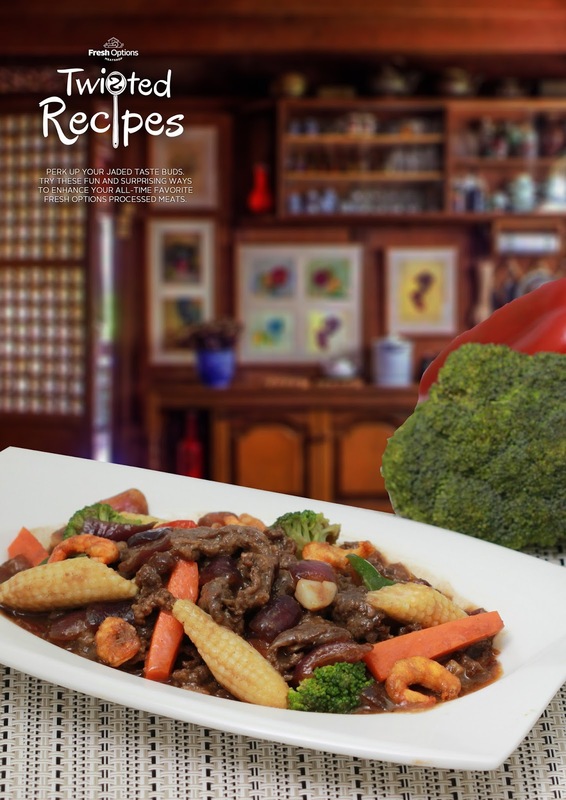 To help homemakers and budding home cooks further expand their culinary repertoire, the chefs and food experts from Fresh Options and RDF created several “Twisted Recipes” that will definitely tickle the taste buds. 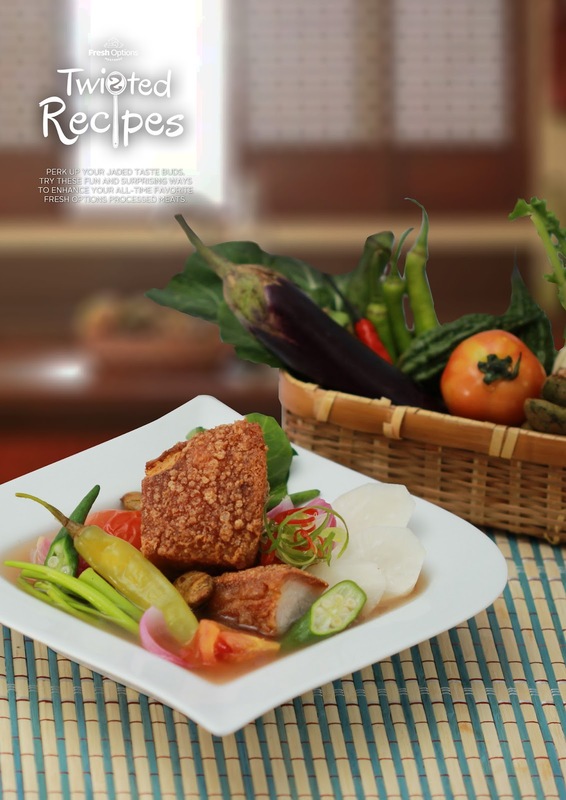 These “upgraded” recipes include the Adobong Batutay, Bagnet Pinakbet, and Sisig Burger. So whip out those aprons and get ready to cook these extra special meals with the help of Fresh Options meat and meat products. In a large pan, medium fire, place water and let it boil. When water starts to boil, add bagoong isda. Cover for 2 minutes. Add vegetables starting with ginger, sweet potatoes, okra, bitter melon, eggplant, string beans, tomato, and onion. Cover and simmer for 15 minutes. Add the cooked sliced Fresh Options Ilocos bagnet. Simmer for 5 minutes. Serve while hot. Sauté garlic and onion in oil, add Fresh Options tapa and cook for two (2) minutes or until desired tenderness was met, then oyster sauce and water. Then add the vegetables, salt and pepper. Let it simmer for 3 minutes and serve! Sauté garlic and onion in oil, add Fresh Options batutay longganisa and cook for two (2) minutes, then add soy sauce, vinegar, salt, pepper and laurel leaves then add water. Let it simmer for 5 minutes, top with camote chips and serve! In a large bowl, mix in the Fresh Options Ulam Mismo! sisig, eggs, onions and flour. Mold the patty into round shape (or preferred shapes) and fry the patty until golden brown. 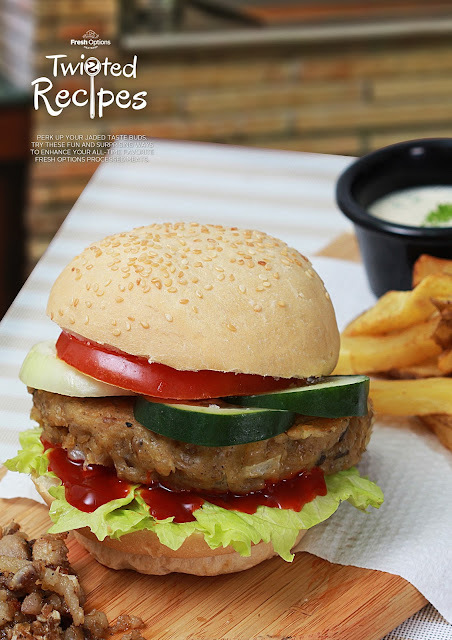 Create your burger and mix in all the vegetables and serve! In a medium pot, sauté onion with oil until it becomes translucent. Season it with rock salt. 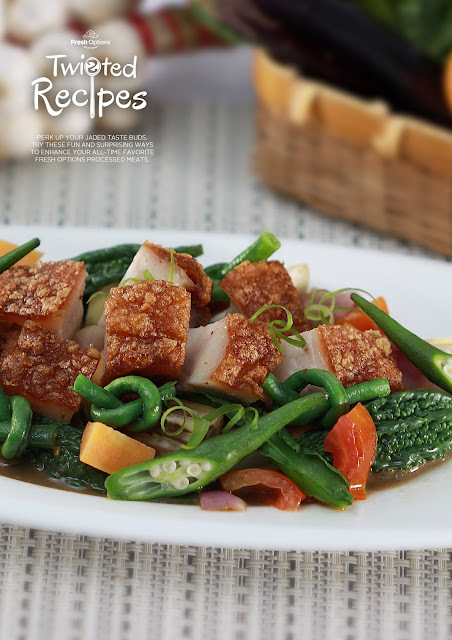 Add tomatoes and Fresh Options Ilocos bagnet. Pour water and fresh tamarind. Cover and let it boil for 20 minutes or until tamarind softens. Strain and extract the juice from the tamarind. Add the extracted tamarind juice in the pot. Continue simmering for another 10 minutes. Add the string beans, okra, radish and green chili. Cook until vegetables are tender. Turn off the heat, then add the kangkong leaves. Serve while hot.